57-year old ex-pro Joseph Nsubuga passed away May 4 in Helsinki, Finland after a long time of health problems - some said to have been related to boxing. Joseph began his boxing career in Uganda and won a bronze in the World championships in 74, reached quarterfinals in two Commonwealth Games and won the national title five times. He turned pro 1975 and like many compatriots he moved north and fought in the beginning of his career with Finland as base. However, he later moved to Norway where he was managed and promoted by Erik Stenerud and beat several good fighters such as Mimoun Mohatar, Everaldo Costa Azevedo, Horace McKenzie, Billy Waith and Jose Hernandez. Late 79 he was ranked number nine by the Ring Magazine at welter at a time when Sugar Ray Leonard was champ and then got an offer to fight Roberto Duran, who had moved up to welter, in Las Vegas. 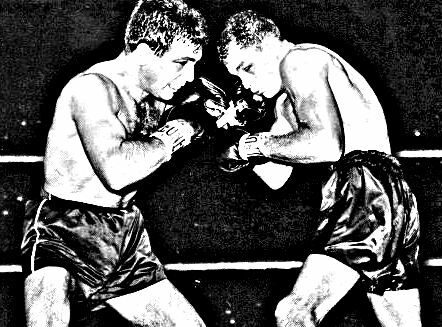 It was a risky fight for a relative small payday but Nsbuga accepted and trained for the fight with Angelo Dundee in Florida. Joseph did allright for almost four rounds but one devastating right from Duran ended the fight and Nsbuga was never the same again. He struggled to beat Joey Mack and was then destroyed by future World champ Davey Moore and his career ended at 16-3.